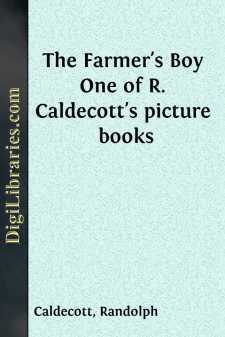 The Farmer's Boy. When I was a farmer, a Farmer's Boy, I used to keep my master's HORSES, With a Gee-wo here, and a Gee-wo there, And here a Gee, and there a Gee, And everywhere a Gee; Says I, My pretty lass, will you come to the banks of the Aire oh? When I was a farmer, a Farmer's Boy, I used to keep my master's LAMBS, With a Baa-baa here, and a Baa-baa there, And here a Baa, and there a Baa, And everywhere a Baa; With a Gee-wo here, and a Gee-wo there, And here a Gee, and there a Gee, And everywhere a Gee; Says I, My pretty lass, will you come to the banks of the Aire oh? When I was a farmer, a Farmer's Boy, I used to keep my master's HENS, With a Chuck-chuck here, and a Chuck-chuck there, And here a Chuck, and there a Chuck, And everywhere a Chuck; With a Baa-baa here, and a Baa-baa there, And here a Baa, and there a Baa, And everywhere a Baa; With a Gee-wo here, and a Gee-wo there, &c., &c., &c. Says I, My pretty lass, will you come to the banks of the Aire oh? When I was a farmer, a Farmer's Boy, I used to keep my master's PIGS, With a Grunt-grunt here, and a Grunt-grunt there, And here a Grunt, and there a Grunt, And everywhere a Grunt; With a Chuck-chuck here, and a Chuck-chuck there, And here a Chuck, and there a Chuck, And everywhere a Chuck; With a Baa-baa here, and a Baa-baa there, &c., &c., &c. With a Gee-wo here, and a Gee-wo there, &c., &c., &c. Says I, My pretty lass, will you come to the banks of the Aire oh? When I was a farmer, a Farmer's Boy, I used to keep my master's DUCKS, With a Quack-quack here, and a Quack-quack there, And here a Quack, and there a Quack, And everywhere a Quack; With a Grunt-grunt here, and a Grunt-grunt there, &c., &c., &c. With a Chuck-chuck here, &c. With a Baa-baa here, &c. With a Gee-wo here, &c. Says I, My pretty lass, will you come to the banks of the Aire oh? When I was a farmer, a Farmer's Boy, I used to keep my master's DOGS, With a Bow-wow here, and a Bow-wow there, And here a Bow, and there a Wow, And everywhere a Wow; With a Quack-quack here, and a Quack-quack there, &c., &c., &c. With a Grunt-grunt here, &c. With a Chuck-chuck here, &c. With a Baa-baa here, &c. With a Gee-wo here, &c. Says I, My pretty lass, will you come to the banks of the Aire oh?